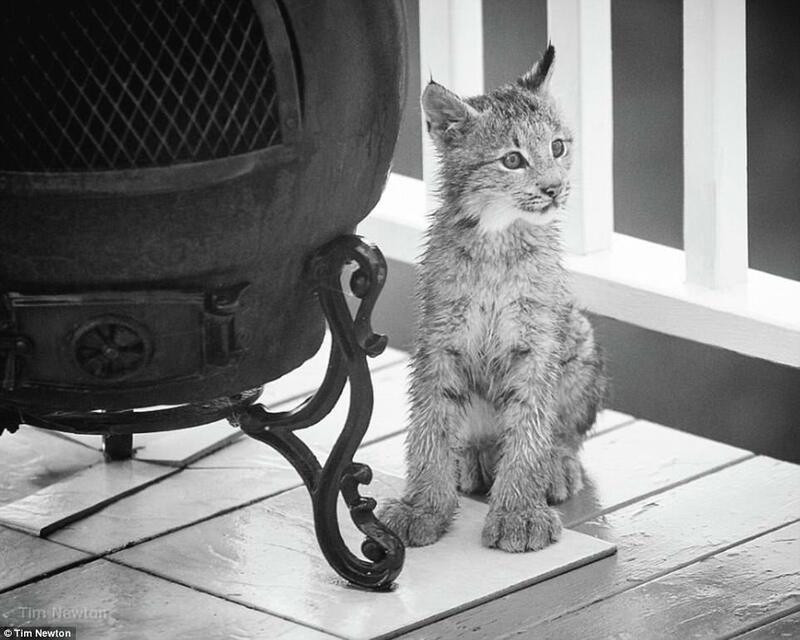 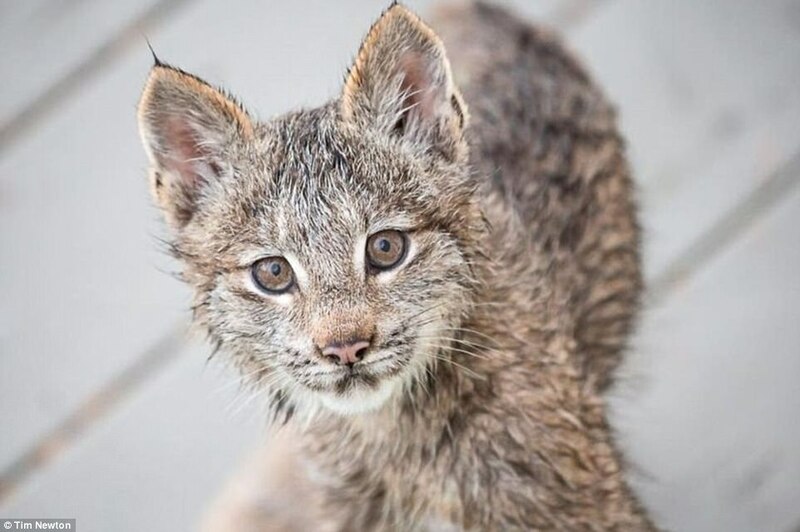 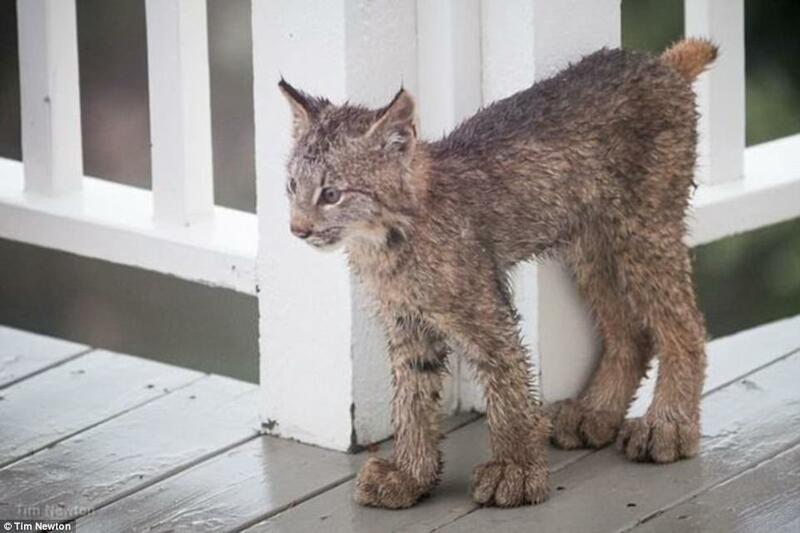 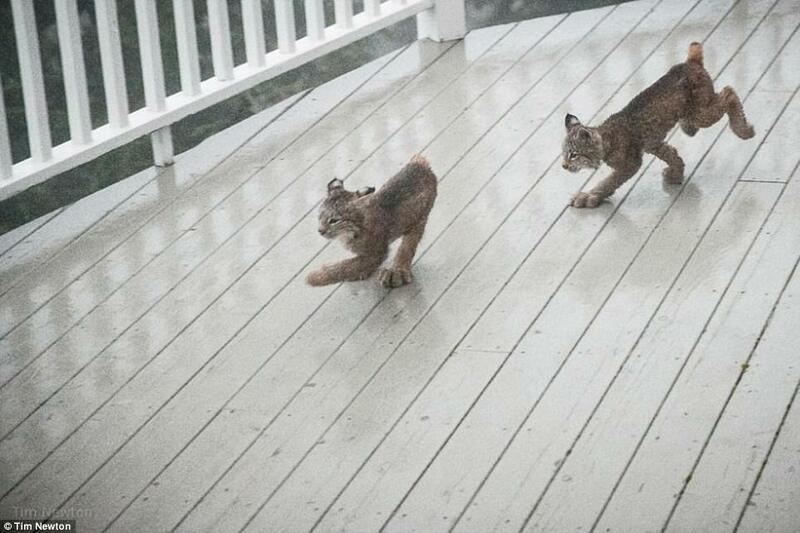 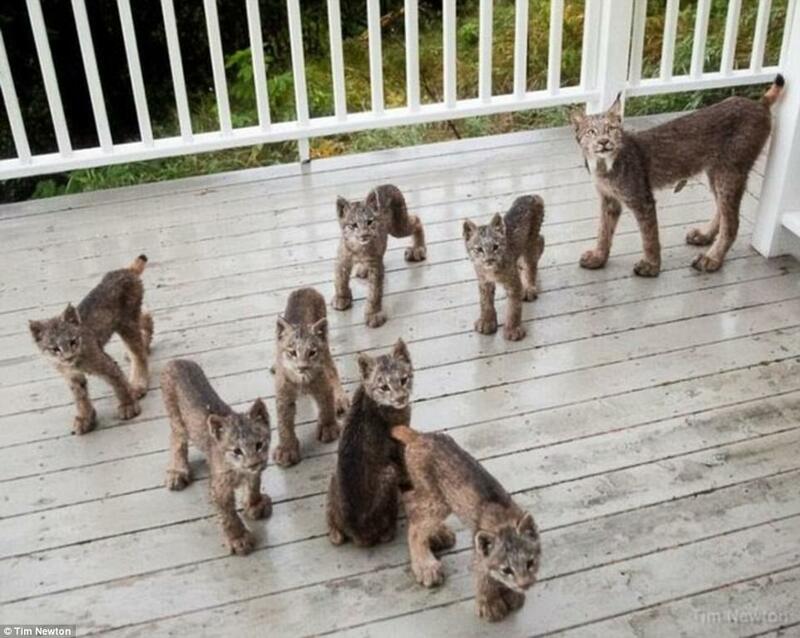 A photographer in Alaska woke up to strange noises at his door and worried his home was being broken into, only to find seven cute lynx kittens and their mother playing on his front porch. 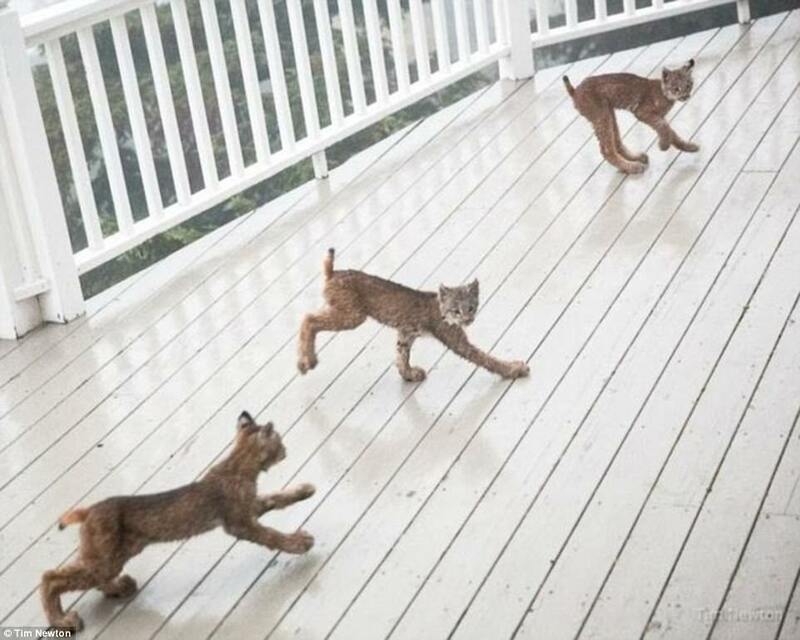 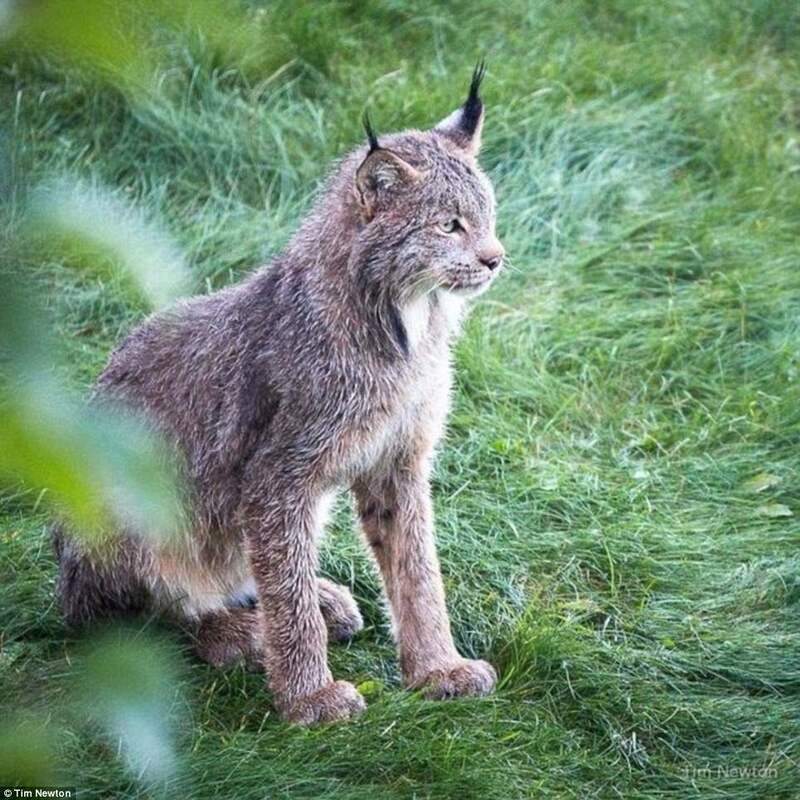 Tim Newton came across the lynx family when he heard scratching at his door. 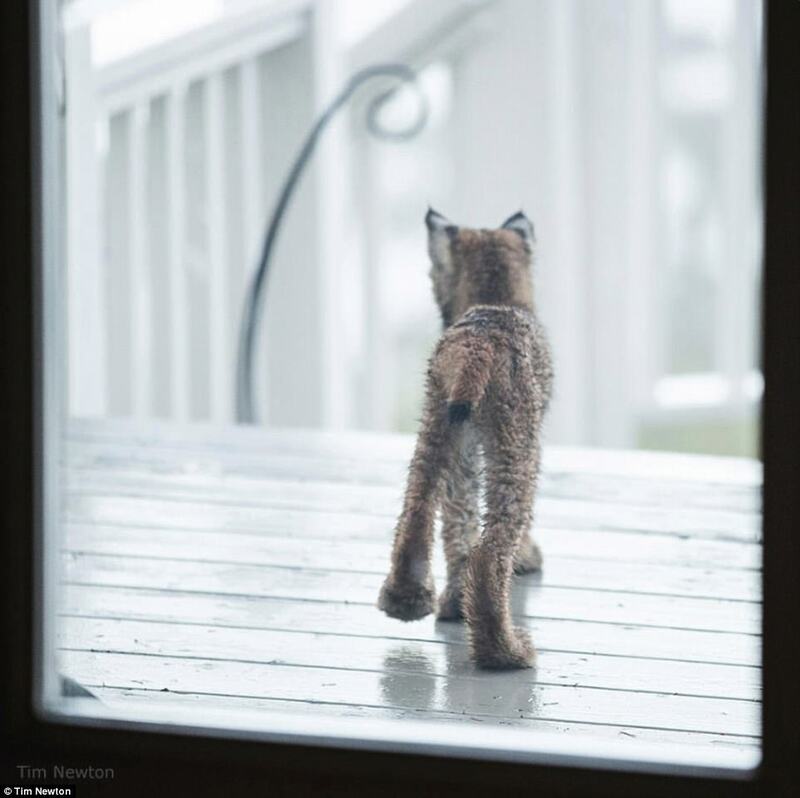 Initially he was worried that someone was attempting to break in, but because he lives in Alaska he said he also realized the intruder might be a dangerous animal - such as a bear. 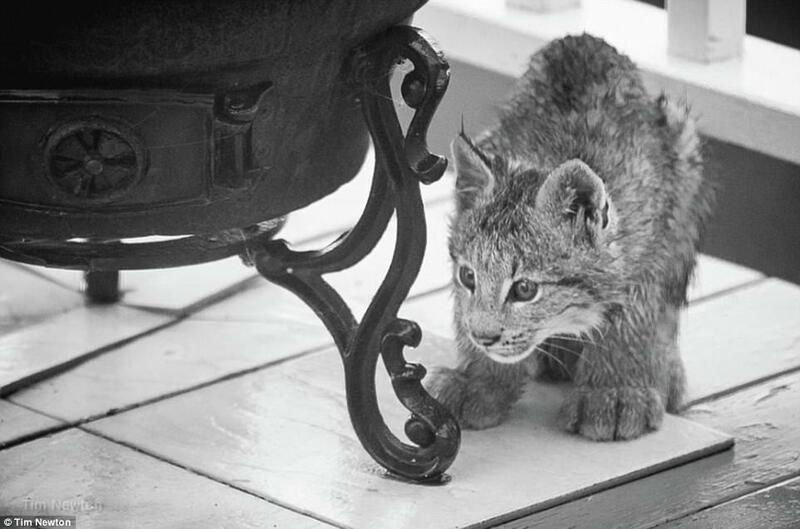 After unsuccessfully attempting to figure out what the noise might be from afar, he gathered the courage to creep over to the front door and peek out the window. 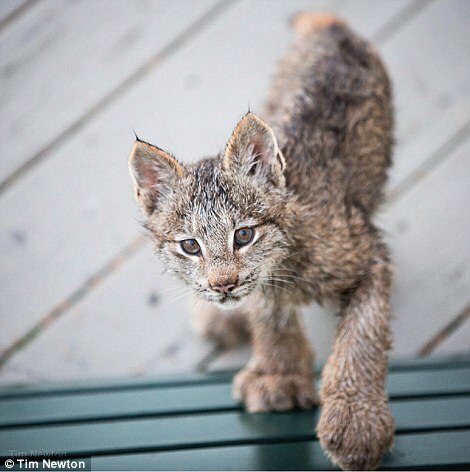 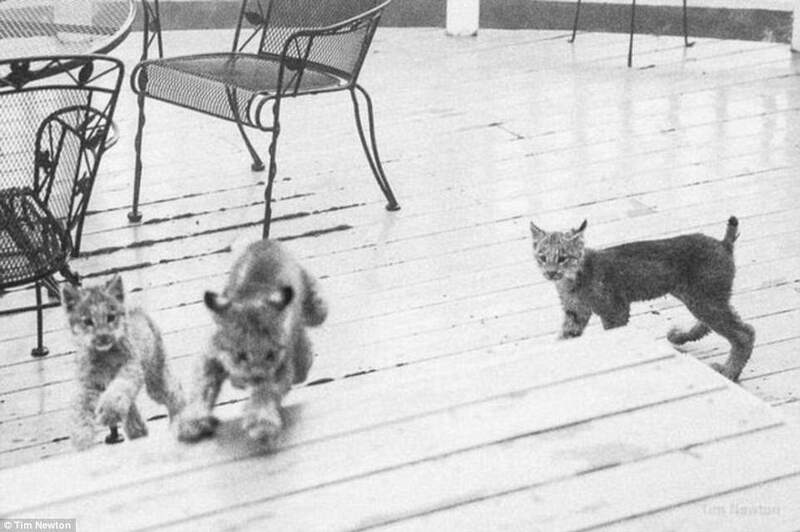 There he saw four adorably lynx kittens playing on the front porch. 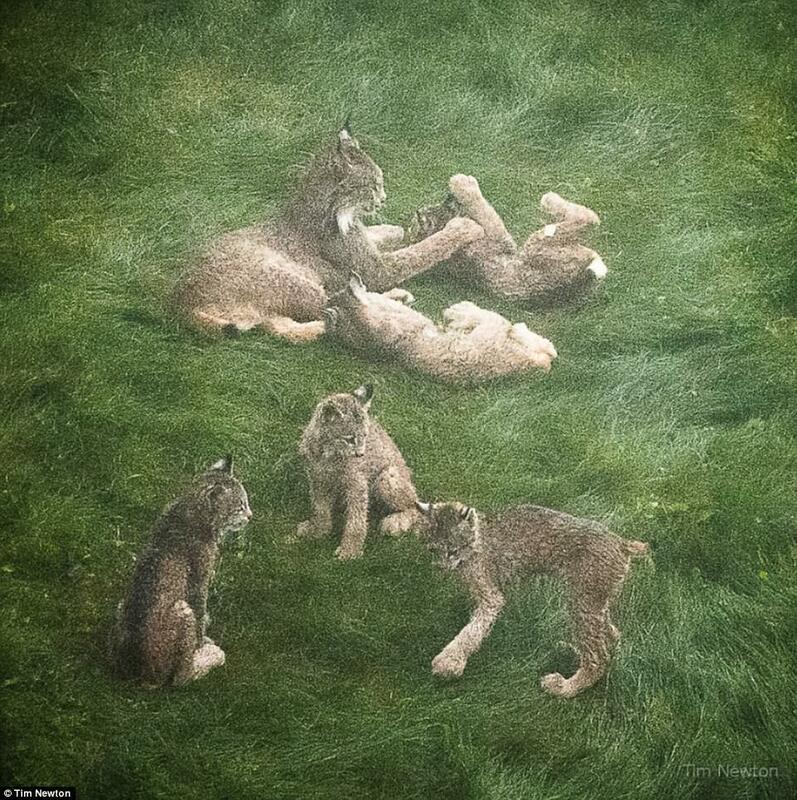 And a few minutes later, the playful lynxes were joined by three more kittens and their mother. 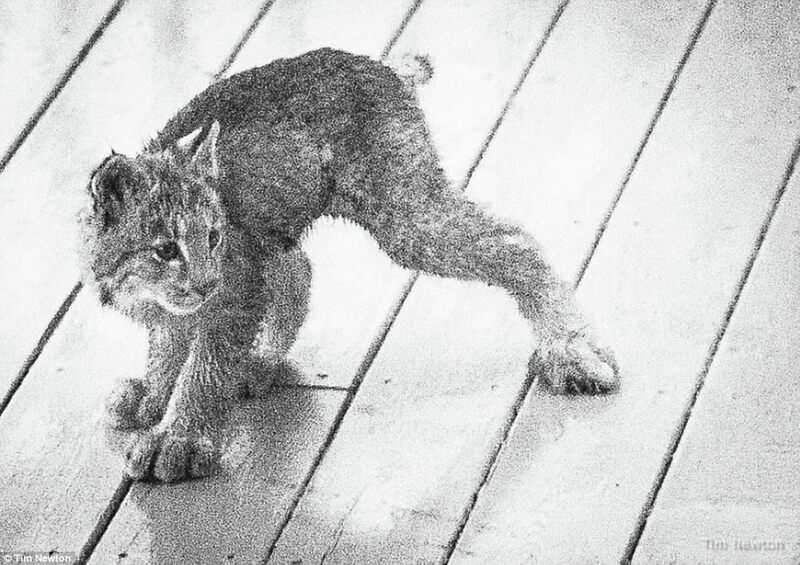 'Coming out of my slumber, I thought "What the heck is that?" 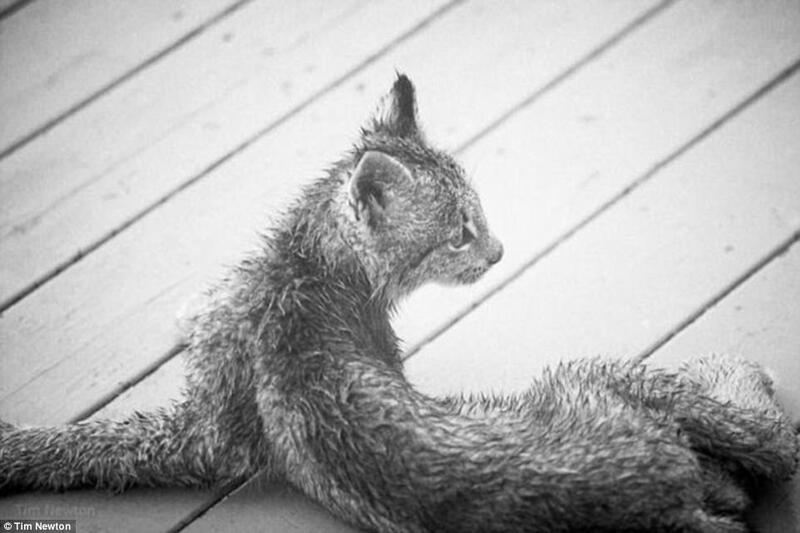 So I put on my bathrobe and slowly eased back the curtain. 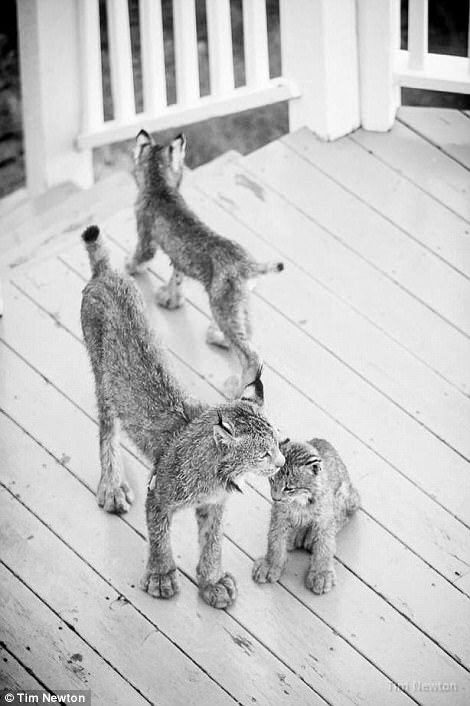 Being a photographer he immediately went to grab his camera and took adorable photos of the family playing. 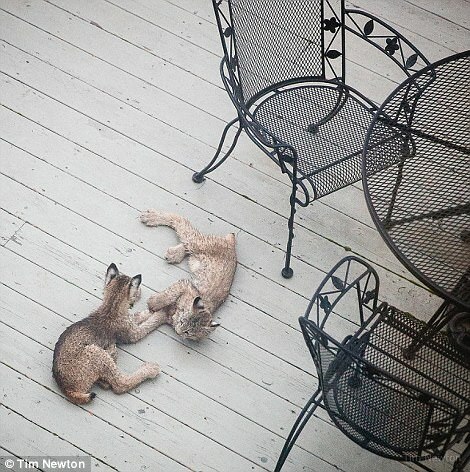 He later posted them to his Facebook page - Tim Newton Photography. 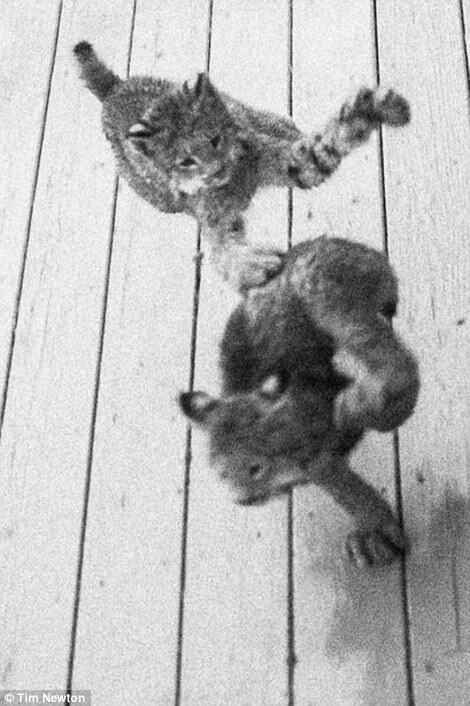 He said that as he watched the adorable kittens wrestling, rolling around and chasing each other he felt admiration for the mother for keeping them all under control. 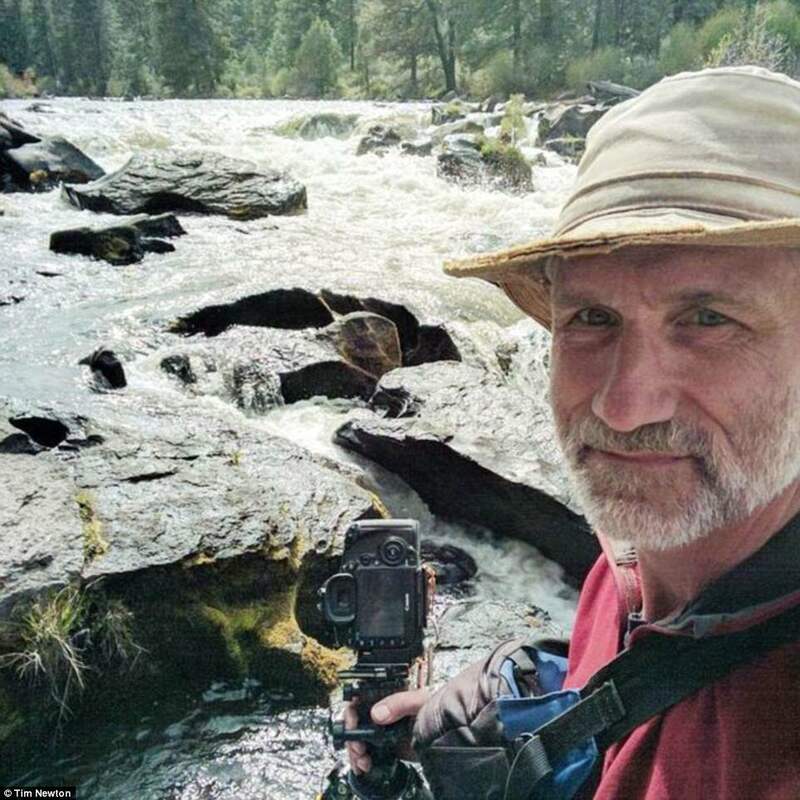 The photos became so popular he started selling prints on his page FineArtAmerica.